We all know and love the honey-obsessed Winnie-the-Pooh. But I wonder how many Pooh fans know that his story was inspired by a real-life bear? 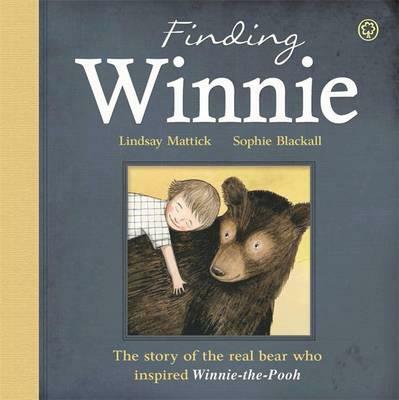 This wonderful picture book tells the incredible story of the original bear called Winnie. In 1914, a young vet called Harry Colebourn — from Winnipeg, Canada — was on his way to look after soldiers' horses during World War I. The first part of his journey was by train, and at one of the many stops along the way, Harry looked out the window and saw an old man siting on the platform with a bear cub. For some reason Harry couldn't explain, he knew the bear cub was special, so he bought it from the man, and took it back onto the train. Winnie stayed with Harry and his regiment as troops gathered from across Canada, then all through the long voyage across the Atlantic Ocean to England, and finally through basic training there. By this time, Winnie was a much bigger bear, and had become the much-loved mascot of the Second Canadian Infantry Brigade. But when it came time for Harry and his regiment to head to the frontline and fight, Harry decided he couldn't keep Winnie with him; he dreaded the thought of any harm coming to the loveable bear. So, he and Winnie went on a drive to London, and Winnie found a new home at London Zoo, where, years later, Winnie met a little boy called … Christopher Robin Milne, son of the writer A.A. Milne. Written by the great-granddaughter of Captain Harry Colebourn, and featuring family photographs and memorabilia, this story is proof that truth can indeed be stranger than fiction. It's a lovely picture book in its own right, but it's also a fascinating insight into the inspiration behind one of the world's best-loved characters in children's literature. Perfect for young kids who have already been introduced to Winnie-the-Pooh, as well as his legions of adult fans!